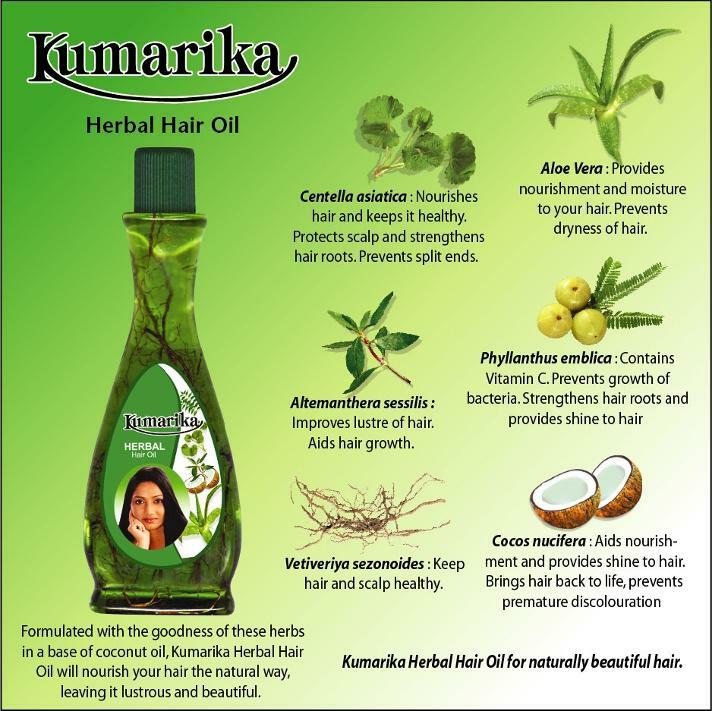 Why KUMARIKA Oil and Shampoo So Unique. It’s base of Coconut oil which would be the most natural ingredient for the hair and body along with Aloe Vera to keep the moisture and prevent the dryness. This unique product for all ages and can be applied for dry or oily hair. Prevent Dryness body & hair. Quality coconut oil has significant anti-viral, health and healing benefits. As you may aware, coconut is being used as most natural ingredients for many processes such as Cooking, Health care, Skin care, Baby care, hair care and many more. Coconut oil one of the nature’s most amazing health ingredients helps to Keep skin soft and smooth, prevent premature ageing process. 3. For long hair apply at the tips to prevent split ends. To keep hair healthy oil can be applied before shower on dry hair, it is recommended to leave oil on for a couple of hours or overnight before washing out. The herbal hair oil can be left on the hair as a normal moisturizer with no need to wash out. Apply after blow drying to prevent damage due to moisture taken out by heat.